KARACHI: R&D MCC Appraisement East in a report has contested the delay & detention certificates issued to toy importers including M/s One Ten World and M/s Xing Enterprises for being illegal and recommended withdrawal of these certificates along with action against the delinquent officers. Collector MCC Appraisement East had tasked R&D to furnish a report into the entire ordeal that why delay and detention certificates were issued to importers guilty of mis-declaration and evasion of government revenue. 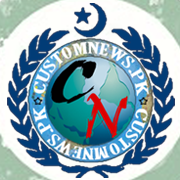 R&D report notes that adjudication orders as well as other record available in the system unambiguously confirms commission of crime by the importers including M/s One Ten World and M/s Xing Enterprises and their clearing agents hence they have accordingly been penalized by the competent adjudicating authority through due process of law. However, the concerned officers have deliberately arranged issuance of delay & detention certificates to the tax evaders in serious violation of the mandatory provisions of section 14A of the Customs Act, 1969. While issuing illegal certificates, they went to the extent that they issued certificates even for the period much before filing of the relevant GDs. Illegal influence in the matter is quite evident which needs to be investigated upon thoroughly to ensure rule of law in the department. The concerned shipping agents/lines/Terminal operator are bound to entertain only such delay & detention certificate which is issued by a competent Custom officer in the case where delay in release of the consignment is caused without any fault of the importer concerned. 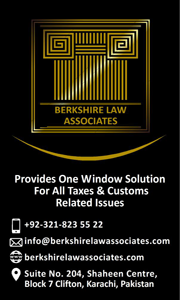 On contrary the under reference 13 delay & detention certificates have been issued through misuse of official authority to benefit tax evaders in serious violation of the mandatory provisions of section 14A of the Customs Act. 1969. Hence in these circumstances, the concerned shipping agents/lines/Terminal operator are under no legal obligation to entertain these illegal and void certificates liable to be withdrawn. 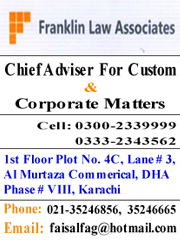 Therefore, it is proposed that the impugned delay & detention certificates may immediately be withdrawn ab-initio and AC (Licensing) MCC-Preventive, Karachi may accordingly be informed besides the concerned shipping agents/lines/Terminal operator. The Chief Collector, Appraisement (South) may also be requested to refer the case to the concerned quarters for detailed probe and necessary lawful action against the delinquent officers working the national interest. It may be mentioned here that accused have obtained several fake IDs to hoodwink authorities and evade government revenue. This practice was going on at MCC Port Qasim for three years. Additional Collector Port Qasim took action in this regard, so this particular cartel moved their operations to MCC Appraisement East. 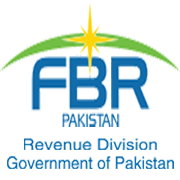 Sources said that senior officers were being pressurized by a very senior FBR officers to be lenient with this cartel of toy importers who have been inflicting huge loss onto the national exchequer since long. 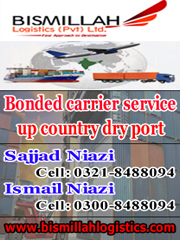 Tagged delay & detention certificates, evasion government revenue, importers, lines Terminal operator, M/s One Ten World, M/s Xing Enterprises, MCC Port Qasim, mis-declaration, R&D Appraisement East, shipping agents, toy importers illegal.